Experience optimized comfort and support with the new Serta® Motion Plus™ adjustable base. In addition to the head and foot adjustment, our deluxe adjustable foundation also feature programmable positions, six-level massage, one-touch zero gravity, and more! Enhanced comfort and support that adjusts to you. Your bed is more than a place to sleep; it’s the center of your life. 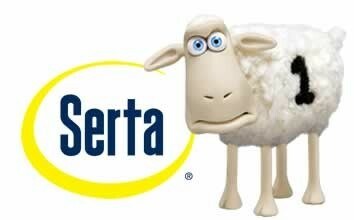 Whether you are relaxing, working on your computer, helping your kids with their homework or just kicking back and watching TV, the Serta Motion Perfect Foundation can enhance the comfort and convenience of your life. Elevating your head and feet can help alleviate body pressure, helping your muscles to relax after a long day. Plus, our Motion Perfect® and Motion Custom® adjustable bases have pre-set positions for optimal comfort and support for watching television/working on your laptop, lounging and our Zero-G position which elevates your legs slightly above your heart to help relieve lower back pressure. Elevating your head and feet can also help to increase blood flow to your muscles to improve circulation, helping to reduce tossing and turning for a deeper, more restful sleep. Plus, elevating the head of the mattress can help open up airways to reduce disruptive snoring and help reduce uncomfortable acid reflux. Our Motion Perfect® and Motion Custom™ adjustable bases feature variable massage options with a timer, so you can relax and unwind after a long day. Plus, our most advanced Motion Custom model comes with Bluetooth™ connectivity and a speaker system, so you can sync your base to your smart device and listen to your favorite playlist while working or relaxing.